On March 1st and 2nd His Excellency Governor Eugene B. 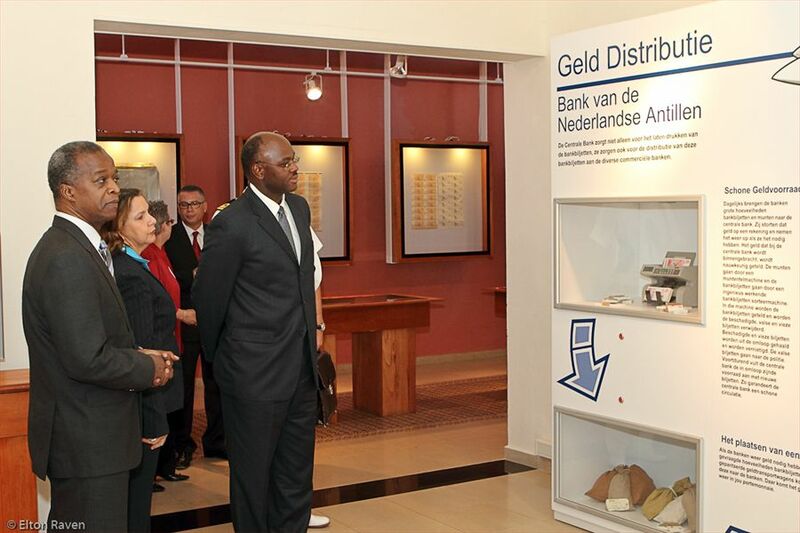 Holiday paid a working visit to the Central Bank of Curacao and Sint Maarten on as part of his regular program to be appraised of key developments regarding the state of the country. 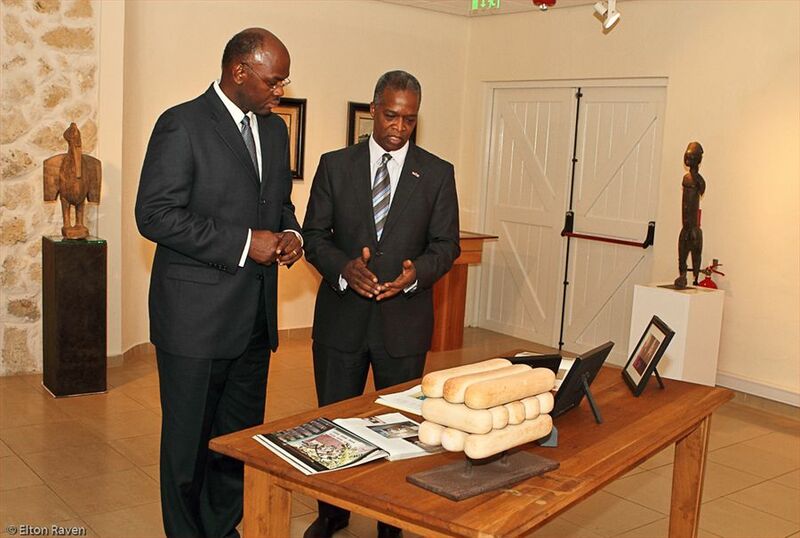 The Governor's visit commenced on March 1, 2012, at the Bank's branch office in Philipsburg where he was received by executive director, Mr. J. Hasselmeyer and branch manager, Ms. Hassel. 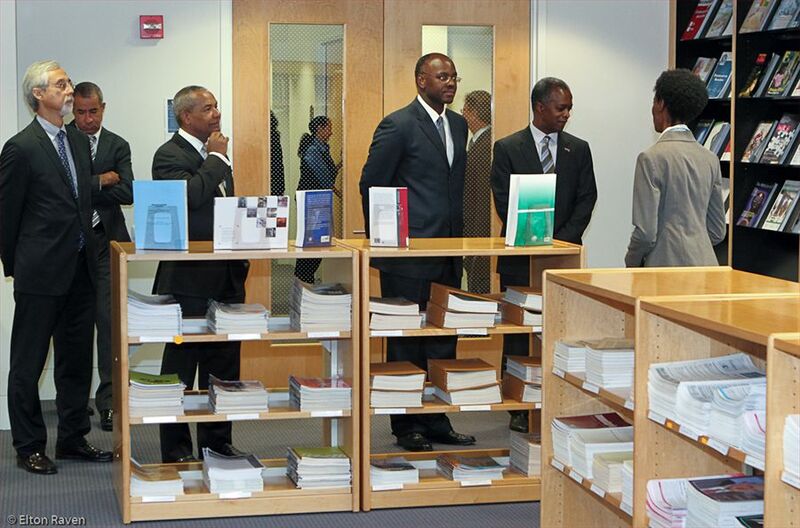 Governor Holiday was update on plans for the branch followed by a tour of the building. 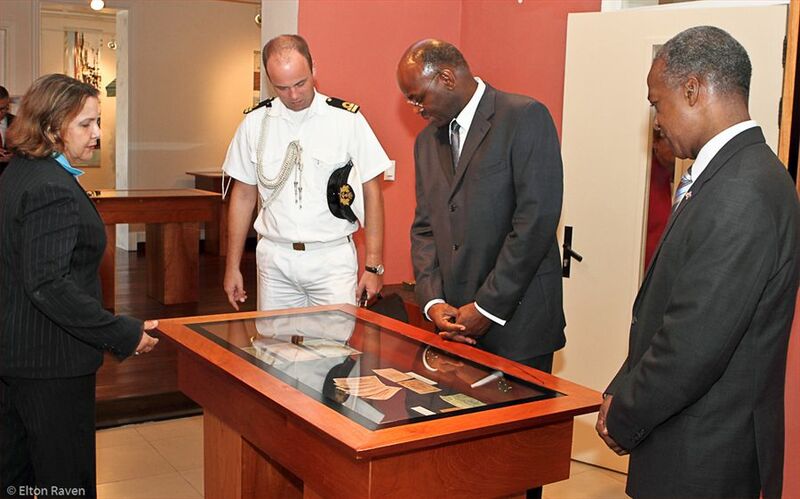 Governor Holiday then travelled to Curacao and continued his working visit at the Bank’s headquaters in Willemstad where he was received by the Bank’s president Dr. Tromp . Following a tour of the Bank's currency museum and of the head office Governor Holiday met with Bank’s executive board and staff. The Governor received an update on recent financial economic developments and outlook as well as on the financial sector supervision.